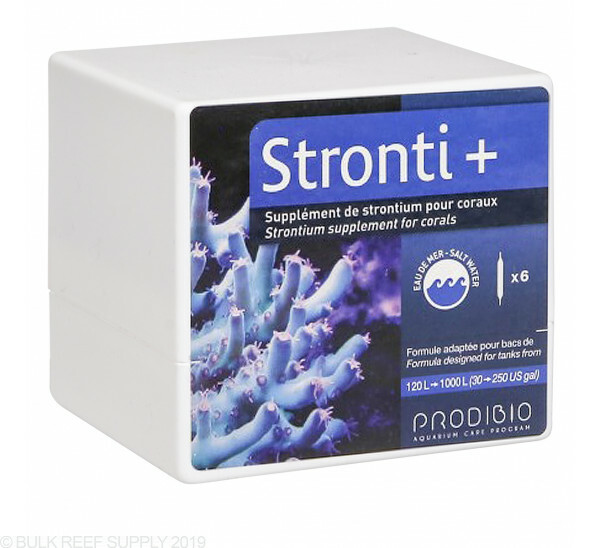 Stronti+ is a concentrated Strontium supplement for reef tanks. 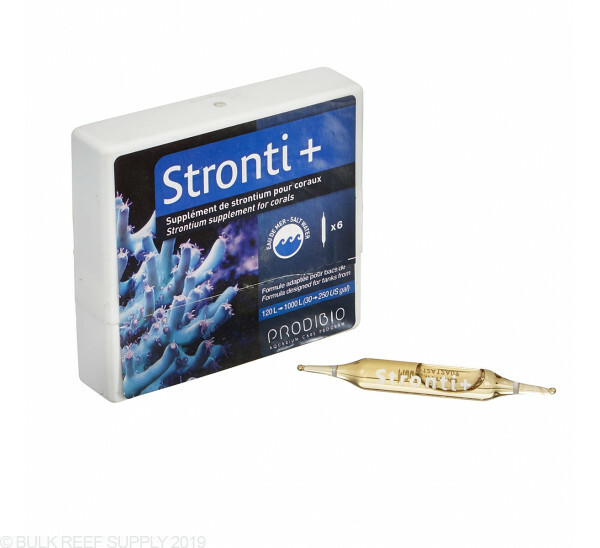 Hard corals, clams, and calcareous algaes will utilize strontium in their development and production of their coloration and growth and over time your aquarium's water will become depleted. 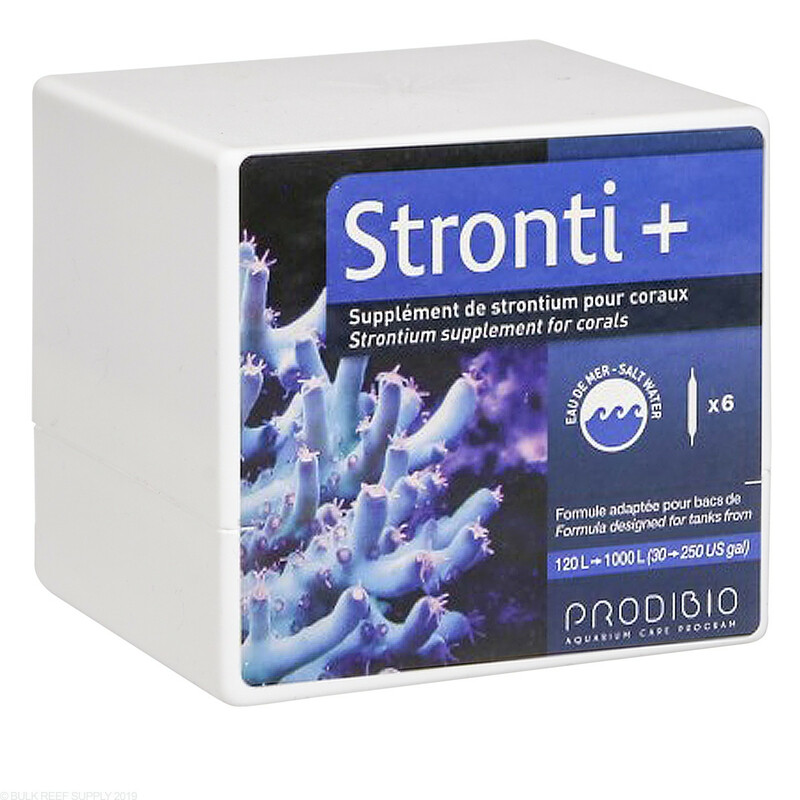 By using Probibio's Stronti+ strontium additive you can keep your tanks levels perfect with the easy to follow dosing guide leading to faster and more colorful coral growth. Typically when corals grow they will consume calcium and alkalinity but also other trace elements such as strontium which is required for their overall health. When strontium levels become deficient, corals can slow their growth or even stop completely, not to mention loose coloration during that time. By using a quality strontium additive like Prodibio's Stronti+ you can keep your tanks levels at the proper rate by monitoring your coral's calcium intake and following the easy to use dosage guide above. I have noticed a major change in my acropora specifically. This has been something that's been worth it for me, and has worked better than dosing trace elements.